Philadelphia is home to an unbelievable amount of different wedding venues. Cescaphe event Group is literally dominating the wedding industry by owning 6 of the cities most sought after wedding venues. As a Cescaphe wedding photographer, no matter what venue I am photographing, I always have comfort in knowing that if the weather isn't cooperating we have a beautiful space to photograph in. Pictured above is a photo from Cescaphe Ballroom on their famously large bar. Below is also another image photographed in Cescaphe Ballroom. I love this image because it shows how much the staff from Cescaphe are there for their couples. The bride decided to take a big bite of her cake and got it all over here face. Their Matre D, helped the groom clean her up before hitting the large dance floor again! The wonderful thing about having a Cescaphe Wedding is that all of their venues are located near beautiful sights in the city. 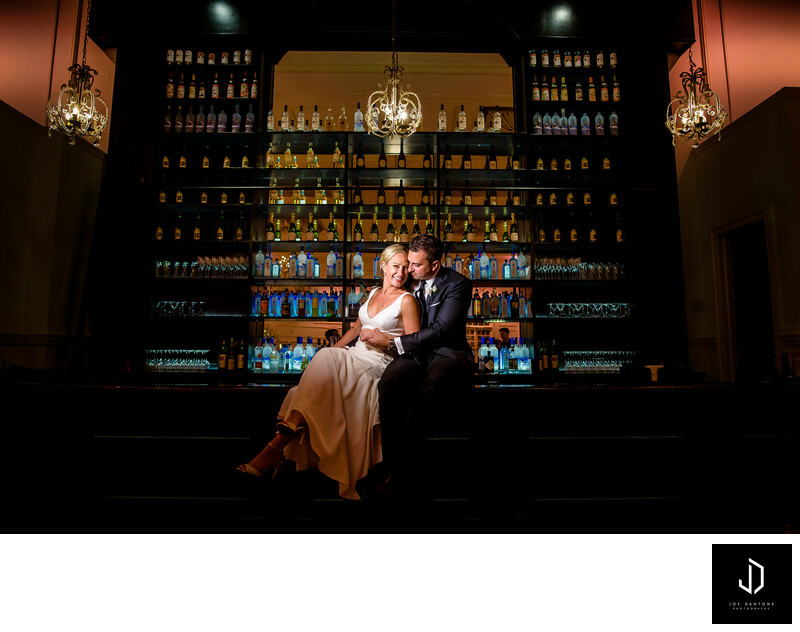 Below shows an image from a couple that was getting married at Cescaphe Ballroom. 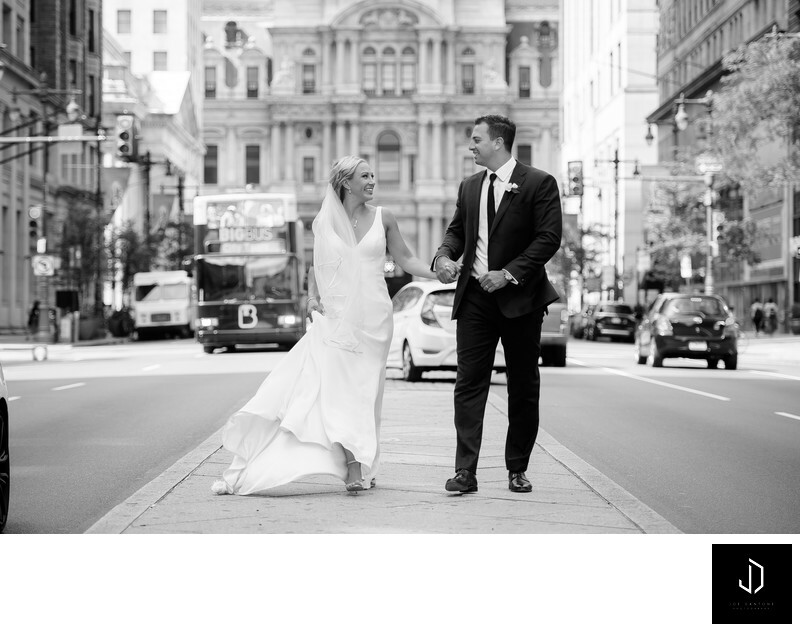 They decided to head over to Broad St. to get the iconic Broad St. City Hall wedding photo. As a cescaphe wedding photographer, I am always excited to deliver different unique wedding pictures to each couple because of the vast amount of space and the location possibilities surrounding each of their wedding venues in Philadelphia.